It’s 2006, and terror scaremongering in the media has rattled the residents of sleepy, suburban Dunlop Crescent. When a Maori family moves into number 14, the local cranks assume they are Middle Eastern terrorists hell-bent on destroying the Australian way of life. Rumour has it that they plan to turn their house to face Mecca. 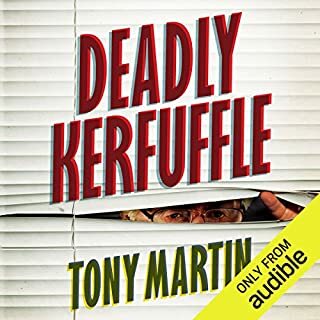 This sets off an extraordinary chain of events that embroils the entire neighbourhood as well as cynical media figures, bumbling antiterrorist police and a gang of white supremacists with a radical plan to wake up the country and ‘preserve Australian values’. I read The Child before this one so expected more. I was disappointed but can't explain why without spoiling it for future readers other than it was predictsble and clichéd. The musical interludes were far too long and distracting. I was attracted to the idea of a radio play but found the story unconvincing and therefore disappointing. Very gripping story, there's no time to breathe and a new twist arises every 5 minutes. As I used to live in Berlin I could imagine the scene and remember some of the references. Having German as my native language I wish I'd downloaded the German version. It's a sad and sometimes gruelling story, so make sure you listen all the way to the end! If you could sum up Amok in three words, what would they be? What other book might you compare Amok to and why? Nothing I have heard compares to this. I loved this book. Great action ,wonderful pace splindid narration enjoyed the music infusion,"brilliant. "AWESOME"
The story was well done and the actors did great. I enjoyed the story and really cared about the characters. The action seemed to get a little confusing at times but overall I really liked it. Good engaging story. 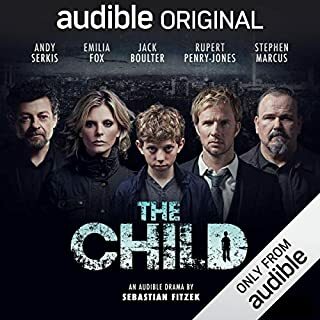 After being pleasantly surprised by the quality of the audiobook of The Child, it was almost a no-brainer to get Amok since it features the same writer and production as The Child. I wasn't disappointed -- the story was great and the performances were top notch. Recommended. I enjoyed the story, but mostly the format! The acting and actor voice transition editing was very well done! I'm sure this was no small task, considering the large cast involved. 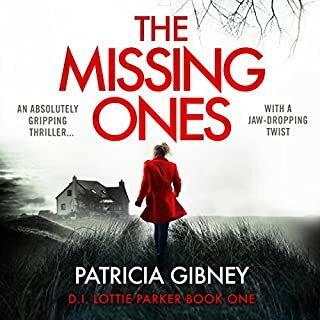 I gave the "Overall" and "Performance" ratings 5 stars, but the story only four, because, while the plot was good, I just did not "feel" for the characters... This may have been an editing issue. 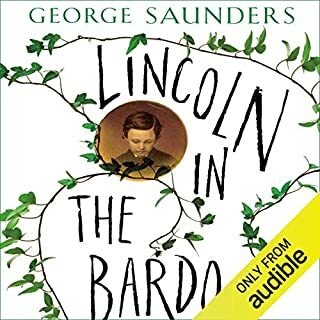 This audible was only 8 hours, so felt very abridged... There was not a lot of time for full character development, which was needed for this plot to make a solid impact on the listener. 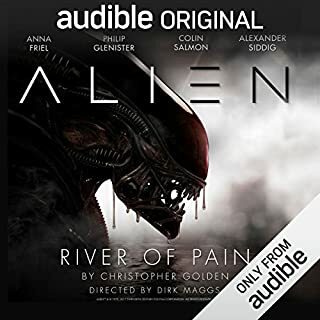 Unlike a visual movie where you can see the character's emotions, as well as hear them, with audio only you have to have more substance to make a connection. 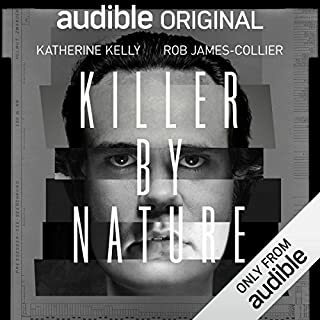 Definitely worth the credit and I look forward to more Audible Original Productions. This book is performed like a movie, complete with background sound effects. It was brilliantly acted and so well done, it was as if you were watching a movie. The story was well-written and suspenseful, kept my attention throughout. 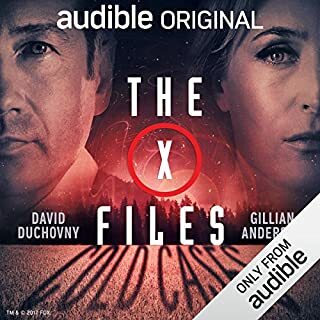 I can't wait to see what other original releases Audible has planned! Torturous, melodramatic, neurotic and self absorbed. Expected more after such a fine read of The Child. But, sadly, it disappoints. I'm also starting to feel that a single narrator is more effective than these full cast stagings. It strains credulity. What is up with all the background noise? The story was okay. Not great. Not awful. Just okay. What really drags it down is the atrocious background sounds and the overly dramatized readings, complete with snotty sounds, coughing (what gives? was this even part of the script? Give the reader a lozenge! ), the breathing, jeez the breathing, and finally to cap it off, the craptastic synthesized music at the end of every chapter that just won't stop. My husband & I listened together on a road trip. Made the time go by very fast as it kept us entertained the whole way! 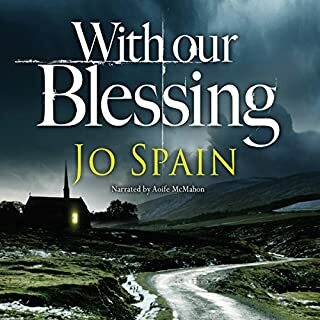 Lots of twists & surprises - interesting characters - most of the narration was well done. I love full production audio plays and was excited to see this. Even more so as I live in Berlin right now and it's always fun to hear stories from places you know. But OMG was this story horrible. The number of clichès, utterly unrealistic developments, factual nonsense and continuity errors in this book is mind boggling. Absolutely terrible. This isn't bad, that's for sure. The quality cast give it their all and it's a fairly entertaining way to spend 8 hours. That's actually longer than the average full cast production has tended to be too so it represents good value for money. The production values are high and the acting is good enough. But . . . it did feel a little over-dramatised at times and the succession of Aha! moments as a series of characters outlined their hidden motives and shocking plans did grate a little. 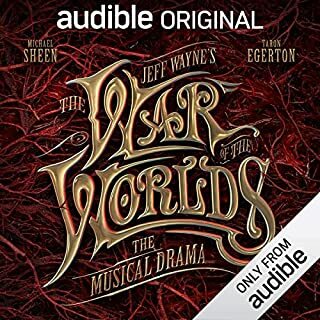 I'm a big fan of the efforts that Audible are going to with full cast productions as a supplement to traditional audiobooks but this one doesn't hit the heights of some of their other efforts and is good rather than great. So maybe the title is missing an I . . . and rather than AMOK it should say I AM OK (but not great). the musical dramatisation was a bit much & off-putting. Actors were very good, first time I've listened to an audio book using different actors for each character & I would listen to similar again. Without the music! This was more than a book - it was an amazing drama. 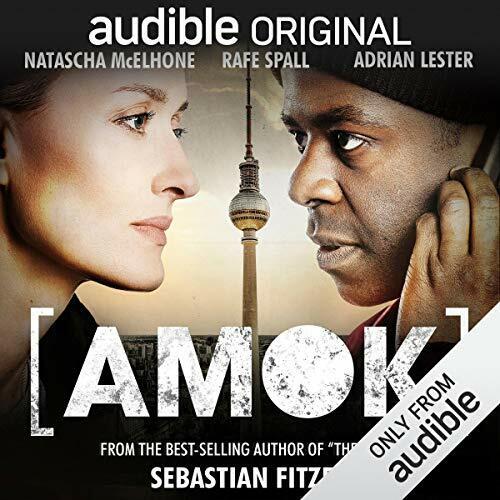 I am unable to read or watch television at the moment, and what a welcome change to listen to Amok where I felt immersed in the story. I was a little confused at first with the different characters and very nearly gave up but I'm so pleased that I persevered. I congratulate and thank the author, the production team and the actors for a welcome break! Thought this was great had me hooked from the start. Don't listen just before bed time! Narration was very good, and suited the various characters very well. 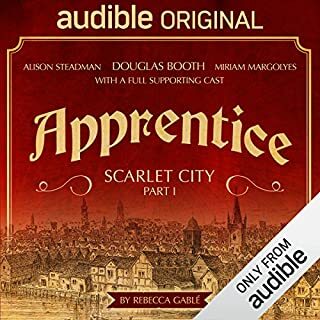 The all star cast of narrators was the reason I bought this, along with the fact Fitzek had previously published 'The Child', aother incredible audio drama that I thought could never be surpassed. Listening to this really is like watching a movie play out in your head. 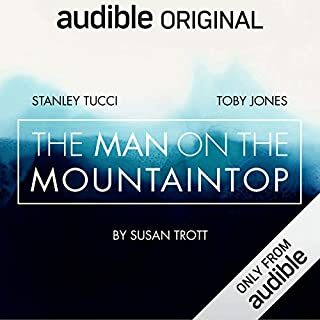 I instantly took to the main character;Samim, I am a sucker for the leading lady/man who has a dark and unfortunate past that has lead them to the point of despair and suicide, but they keep hanging on to do some good for the world.In short, this was a great listen. The narration was superb and I challenge anyone to say they didn't enjoy it. 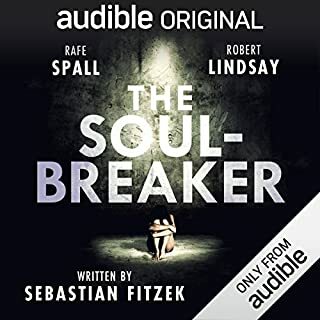 Fittzek has done it again with another great storyline and audible have done it again bringing it to life: a magnificent duo. sorry I tried to get to the end of this but it was just too turgid. it felt 1 dimensional so I gave given up. What did you like most about Amok? Great book but it did get a little confusing at times for me but maybe that's just me! !